This is the natural history museum and your probably thinking 🤔 more museums! how much more are there?! well there’s like 10000000x more well not that much, but there’s heaps anyway. back to the story well we went to the natural history museum you now that. well we saw all these interesting skulls that are like 1000000000 years old and went in to the core of the earth 🌏 .on a escalator and not a real earth which makes it less interesting than it sounds but it was still really cool 😎. at the back is xavi he’s a really good friend he came to London to visit us and Was a lot of fun he only stayed for 2 days. I now it’s not that long but least he came. This was the school of rock if you haven’t watched this movie or the show you are missing out. It was really loud and if you want to go it’s 15-200! it’s just a really good show. Are used to watch this show with grandma all the time, so it was fantastic to see it at the theatre. I also went to see horrible histories with Deborah, Joshua, and Levi. Horrible histories was really funny. And sort of gruesome. We were spending time with Joshua again and we went out to the beach 🏝 and we found this machine but it was busted so we didn’t need coins for a wish. so it was really really amazing and fun. we caught a train to the seaside. They had some very big seagulls there . They were massive. We went to a whole lot of vending machines around Japan. It was so crazy and we went to do it about 4 to 5 vending machines and they weren’t normal temperature. They came in hot and cold which was pretty amazing but they are was mostly cold drinks but it was still really awesome. We bought a new speaker. It can go really loud and it has a really good base to it and it’s a really good brand Bose! We went for a walk in a park and it had the perfect weather and temperature. We saw a pretty big and decent temple. first up in France. We meet daddy again which feels amazing and we’re living on a boat for the rest of the time we’re here too. Plus there’s so much boats in France and I like looking at boats I don’t know why but I like it. Second up the markets. This one was 50/50 because of the smell. I hate the smell of the food in the market but sometimes somethings smell really fresh and delicious so that’s why it’s 50/50. Me and Hugo went for an ice cream but it wasn’t ice cream. It was sorbet which is my favourite kind of ice creams. I had strawberry flavoured and Hugo got mango flavoured. Then we went to the beach. Which we were there for quiet a while. So we all got sun burnt and I got blonde tips in my which looks pretty cool. Then we went to the Piccaso mueseum which was boring and interesting in the same time so I enjoyed it here. It’s was pretty big here. We’re back in japan and we went here last year and we loved it so that’s why we’re here again. Tokyo is our First stop in our adventure and we have a long way to go. And we’re loving it so far. We are at the front of a monorail. The view was so amazing and we actually got a seat because the trains are packed usually. Anyway we we’re going to a place called team lab and it was its opening so it was pretty packed. This is the first world and it was called flower world and it’s obvious why it’s called that beacause it has flowers everywhere. If you go in here with a friend or family you should not split up because it looks boarderless and you could easily get lost. This is still the same world but when you step on the blue line it goes down past you which is really cool. this is crystal world. It’s not crystals, it’s tiny lights and they go different colours on this tablet on this tiny table. It’s not my favourite but it still really cool. This is black waves world and it was so relaxing with the bean bags it was the most relaxing and quiet spot. This is lily pad world where it looks like your in water which is 50/50 not my favourite but I just like how you can go through the lily pads. This is lantern world it was really nice. I think this was the only one without music but it looked really interesting but great at the same time, it went in a whole bunch of colours, changing when you stood near them. this is the tea house. it was my unfavourate one of the day beacause you had to pay for tea then when you got the tea you just see a virtual flower grow when it sees the tea but when you pull it away it breaks. which was the coolest part about it so atleast it wasn’t all bad. this is balloon world it was cool because every time you touch the balloon it changes colour. This I s awesome and you could play volleyball with the massive balloons which was so much fun. It was definitely Hugo’s favourite stimulation. We drew with crayons to make our own sea creatures and it was fun, funny, interesting and challenging so it was really entertaining to do this. but we had to use crayons which is hard for me but I did something pretty much amazing . They scanned the pictures in they became animations on the wall. 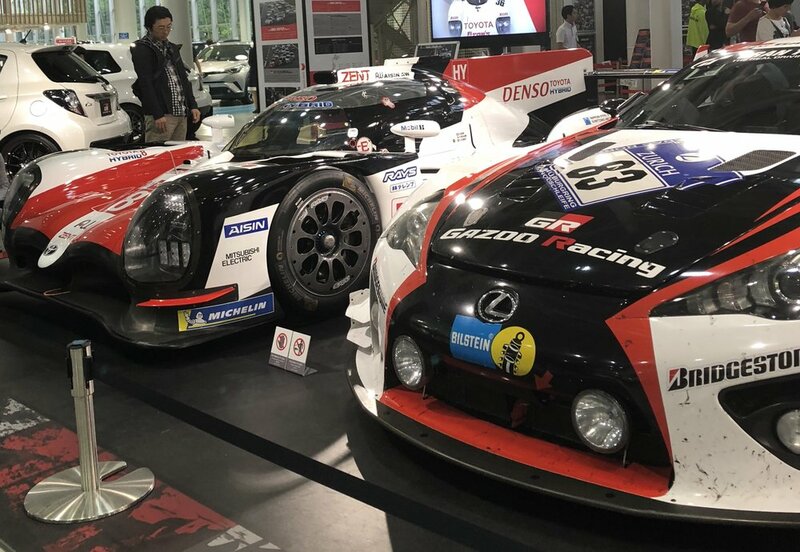 l was really tired after all today beacause we were in there for 5 hours and we had a wonderful experience of the opening of the team lab and it was amazing seeing these race cars. it’s so good being back in India it’s been great going to the chia shop there’s a new school. That has way more kids. Last time I was there we had 10 kids. Now there’s 150 kids. Well it has been 2yrs since I have been here. We all way go to a beach called turtle beach but sadly there making a huge highways there. They have great surf and food. We get boogie boards there for free it’s so fun. Hugo just played in the sand making sand castles with Mum. Me and dad surfed it was perfect. this is home to the most tallest building in the WORLD !!!! We were just trying to get in a mall and Mum said “there’s the biggest building in the world”. I was sooo amazed. It took so long to get to the mall.Then when we went in the mall we went in circles and we didn’t even know. you now on my last blog got a watch well this is were I got it Dubai I love it 😊 it’s so great. I was probably going to explode I loved it. It was our last night in Dubai and our flight was 6:00 🕕. But we had to get out at 12:00 🕛 so we went to some more museums.it was about a girl wanting to be a artist she still has done art at 90yr. One of the many obstacles on the dangerous roads of Georgia. We arrived in Georgia and hired one of the smallest cars in the world. Not quite as small as a toy, but a car that we could drive. It was a small Russian car. It was amazing, the view of the mountains was a real good and wonderful. The food was absolutely amazing, not one food I ate was bad. It was all amazing literally. I'm telling the truth. Not one time it was bad just amazing, the people were super generous. not one time I felt like I was unsafe. Keep it up guys. So what I did for mmyyyy birthday wasss sort of good but we did bowling 🎳.and, now,I know that I'm not good at bowling at all😨😥 .i wish I was good at bowling. the ball is way to heavy for me . also I got a watch ⌚️ from Dubai for meee birthday I tryed to get a photo of my watch but for some reason my camera doesn't work. I know it's short but it was a short birthday 🎉 but I love this ⌚️. This is the littlest church IN THE WORLD how amazing is that I thought it would be the littler but good enough I know what your thinking I want to see the biggest church well to bad it had nothing at all in the building and that was cray cray. Everyone loves ice cream it's so yummy they have so many many kinds of ice creams there was like 5 chocolate flavours i would dream about the ice creams but enough about the ice creams not only that they have the best pizzas in the world my personal favourite and the only one that I love is the pepperoni pizza I love them.